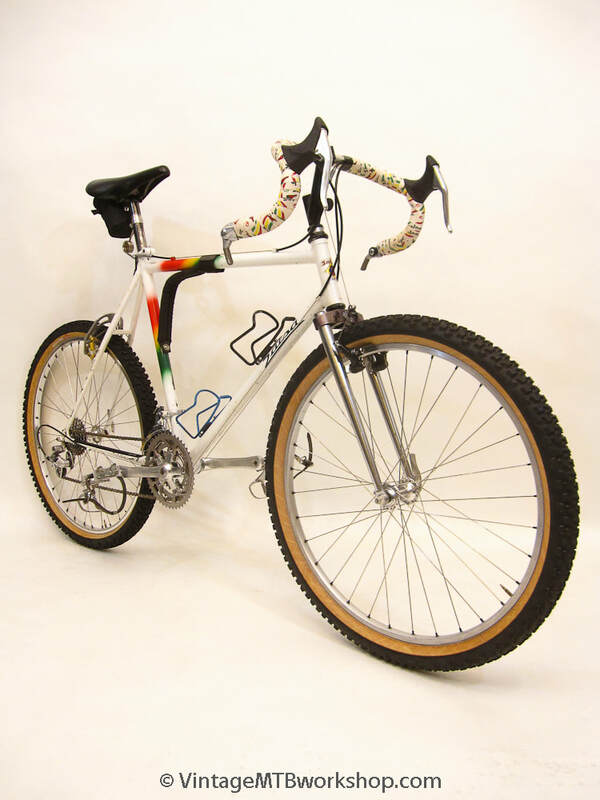 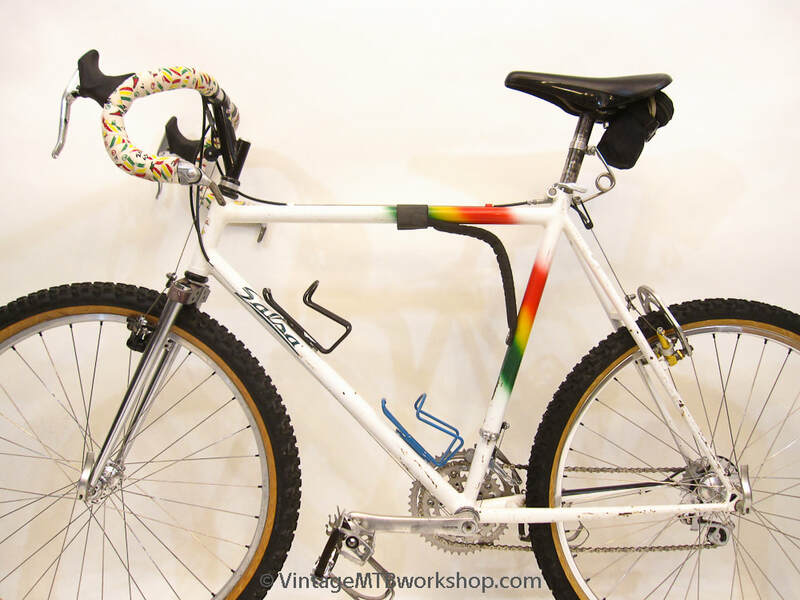 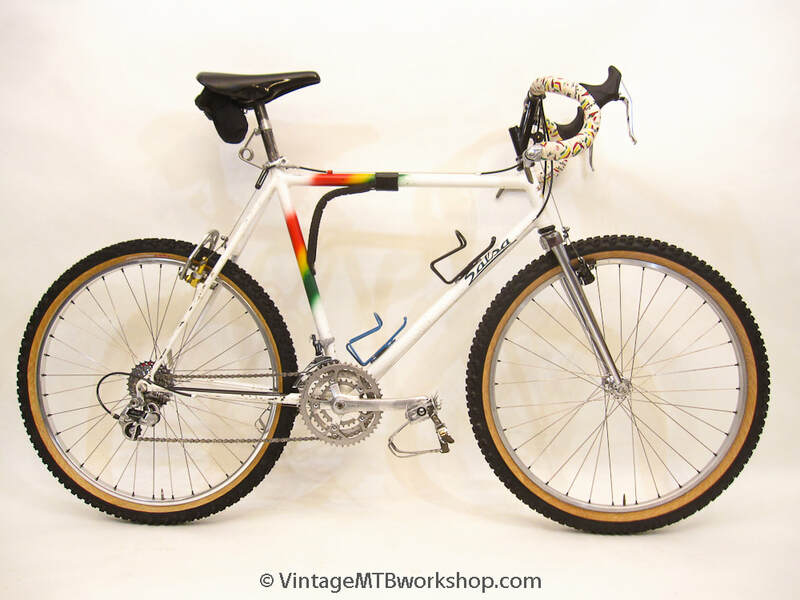 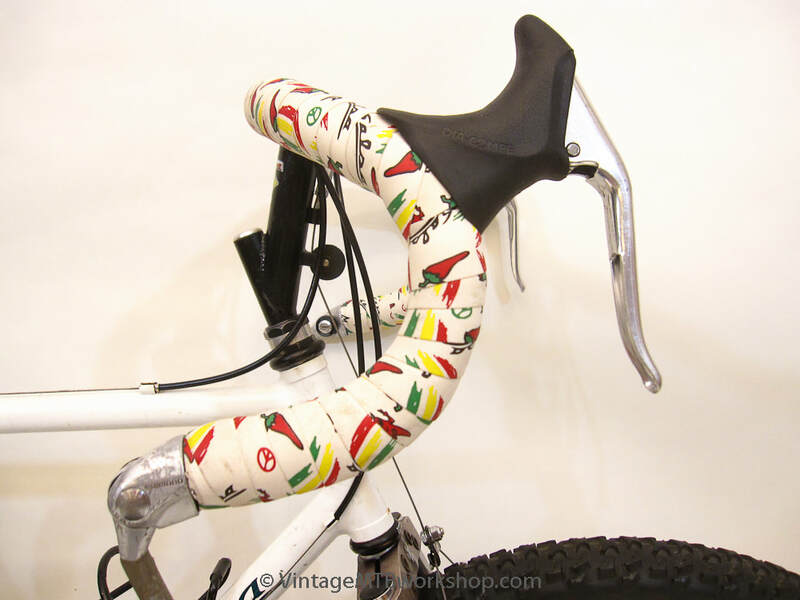 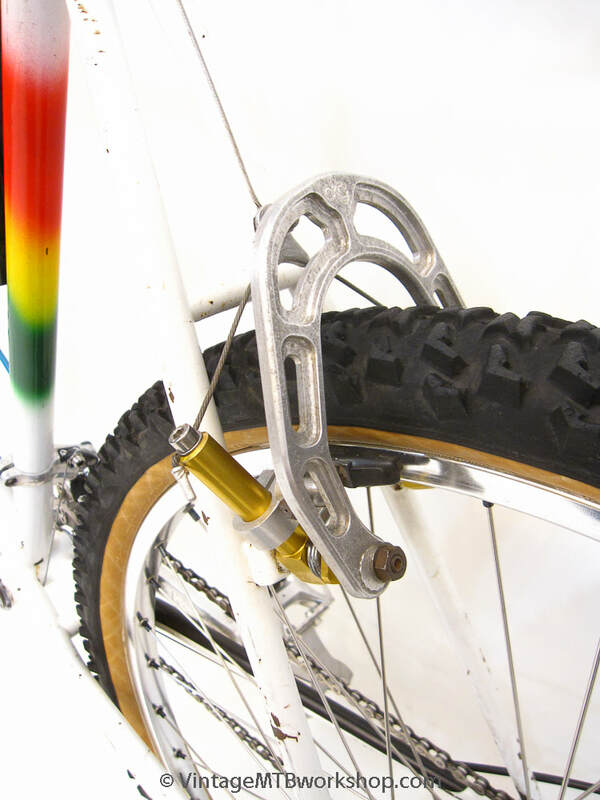 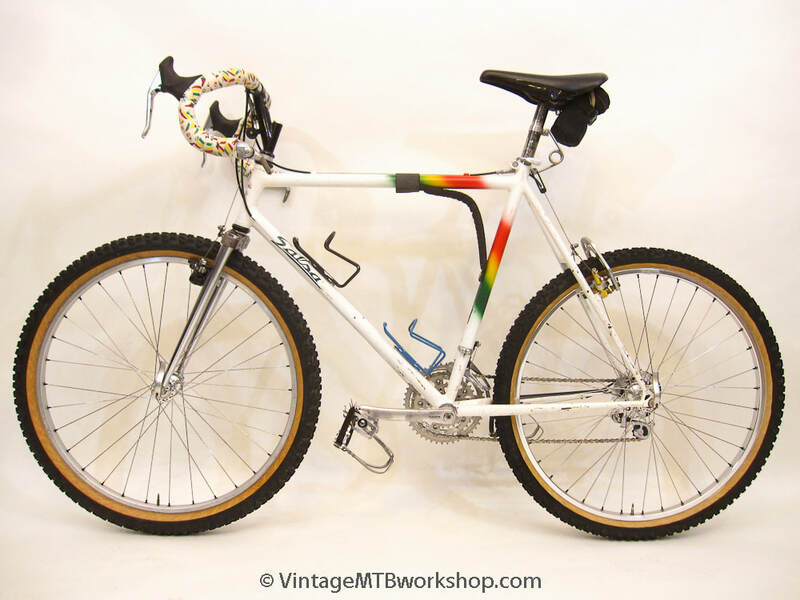 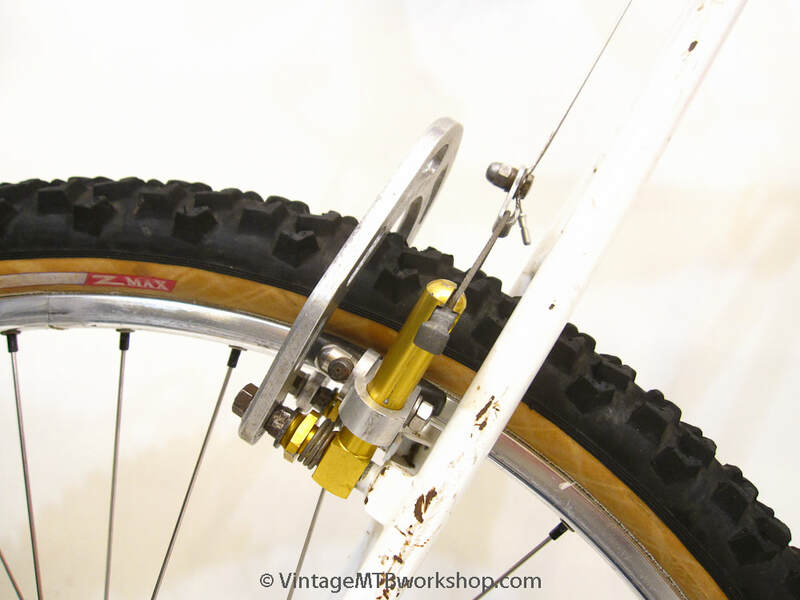 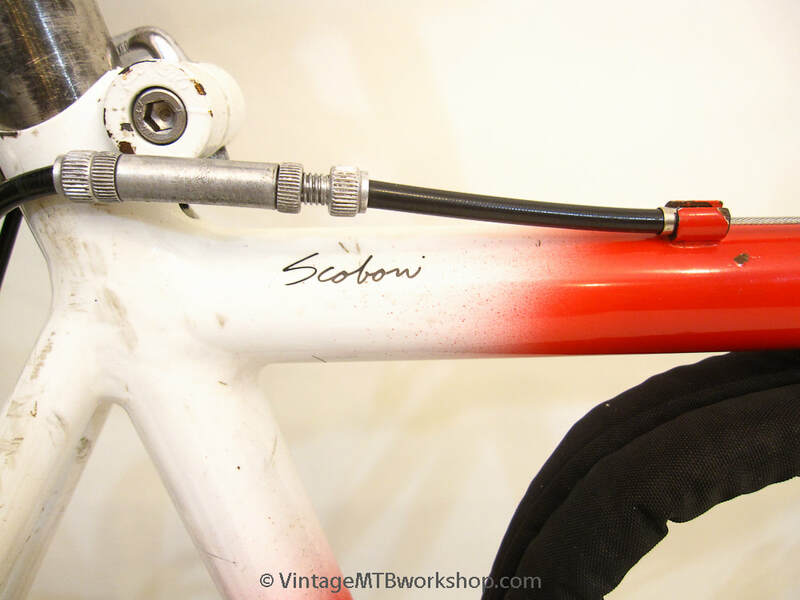 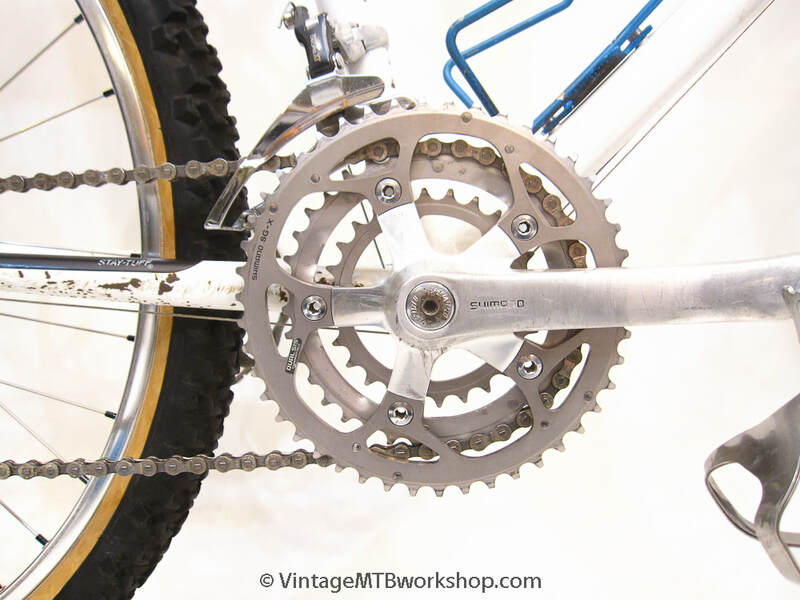 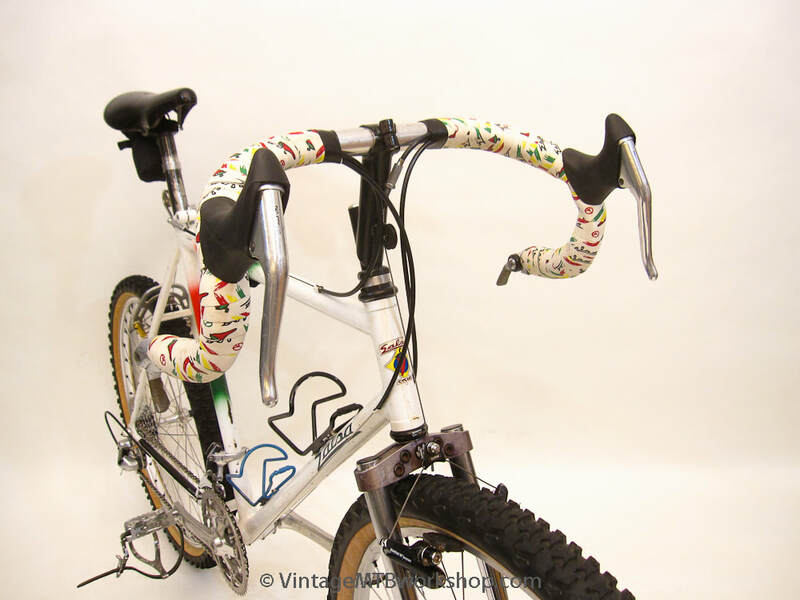 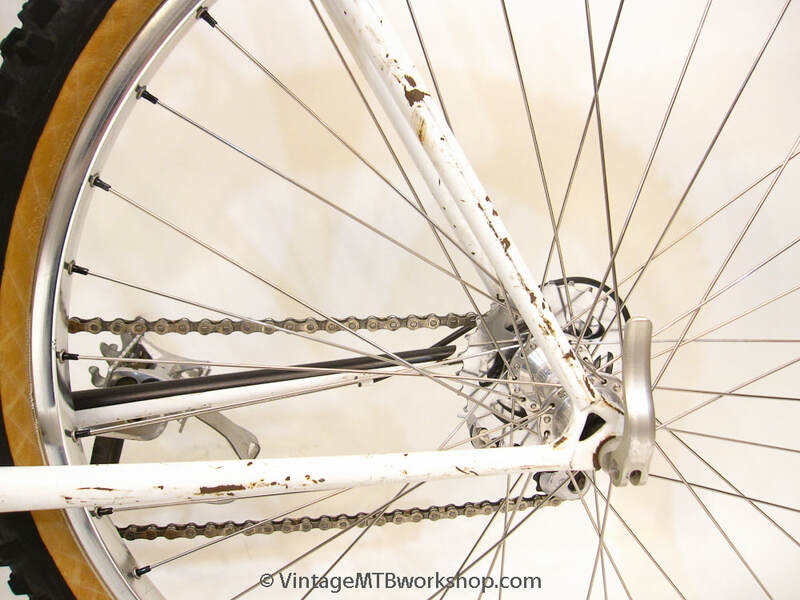 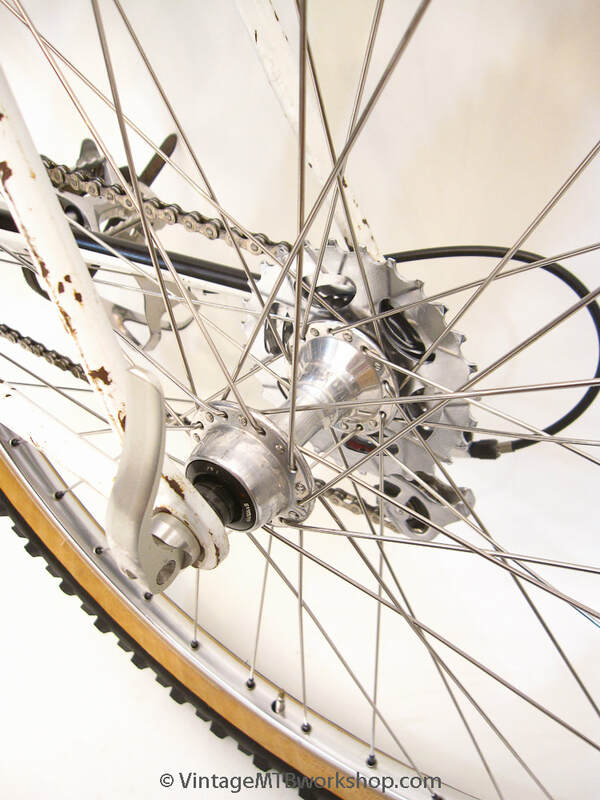 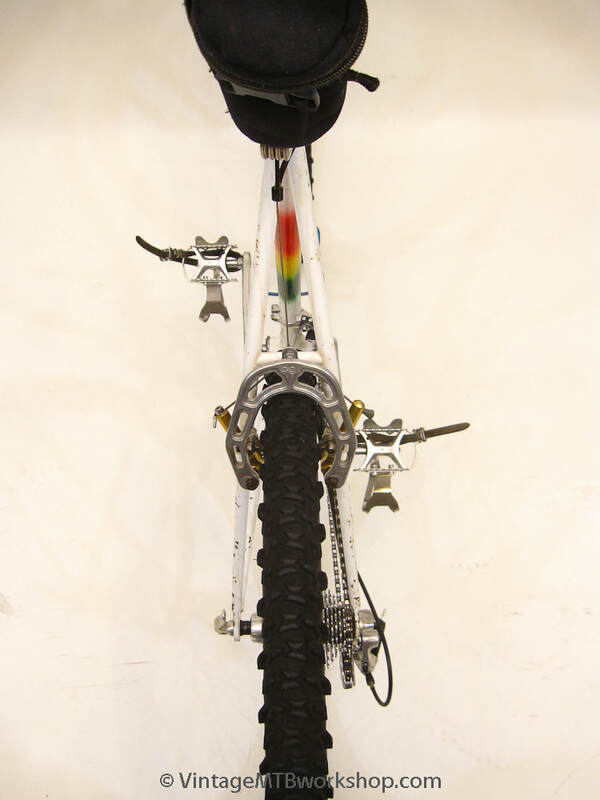 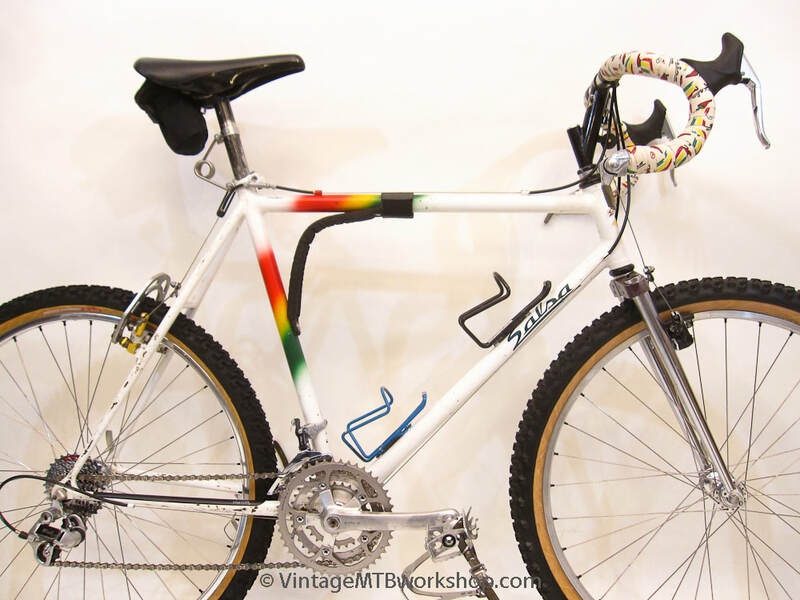 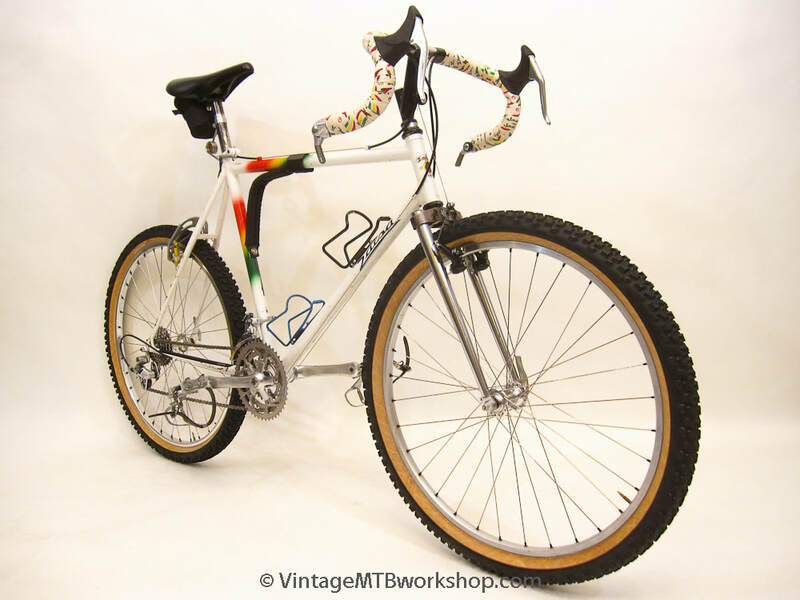 In 1984 Ross Shafer built this fillet-brazed Salsa Custom as the second mountain bike he would make for himself. 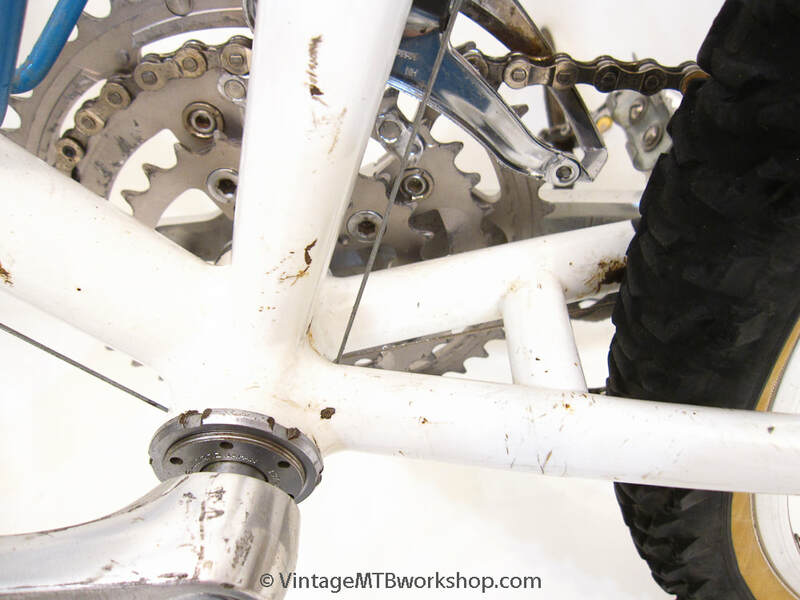 The frame was constructed on a sleepless night two days before the Whiskeytown Off-Road race. 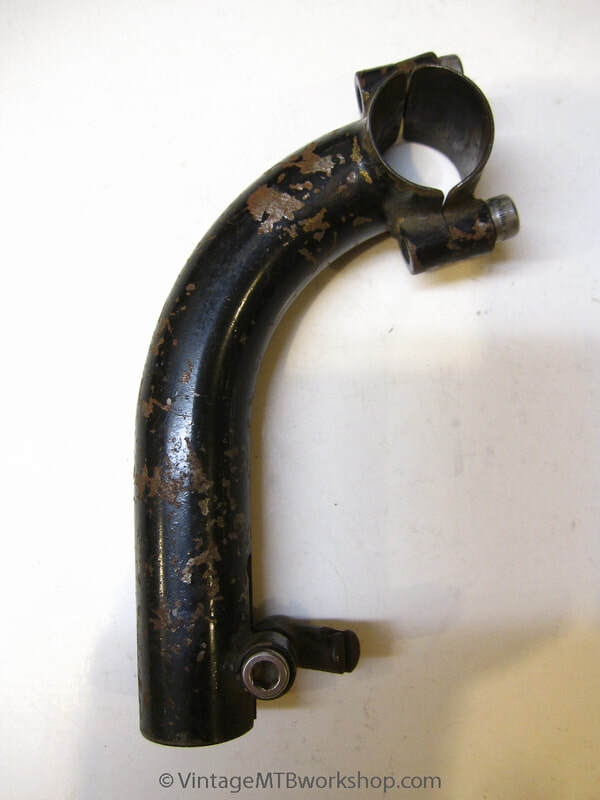 With a day left to drive up to the race, there was no time to fully finish the frame, so Ross took it without filing down the bronze fillets or painting it. 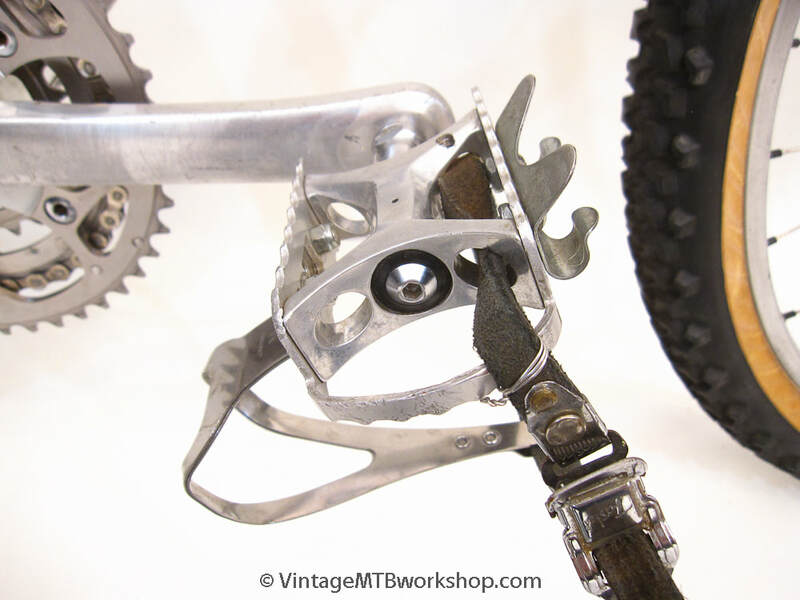 At the campground, Ross was talking with Charlie Cunningham and dreading the fact that he had to go back to his shop and clean up the fillets to make it look nice after the race. 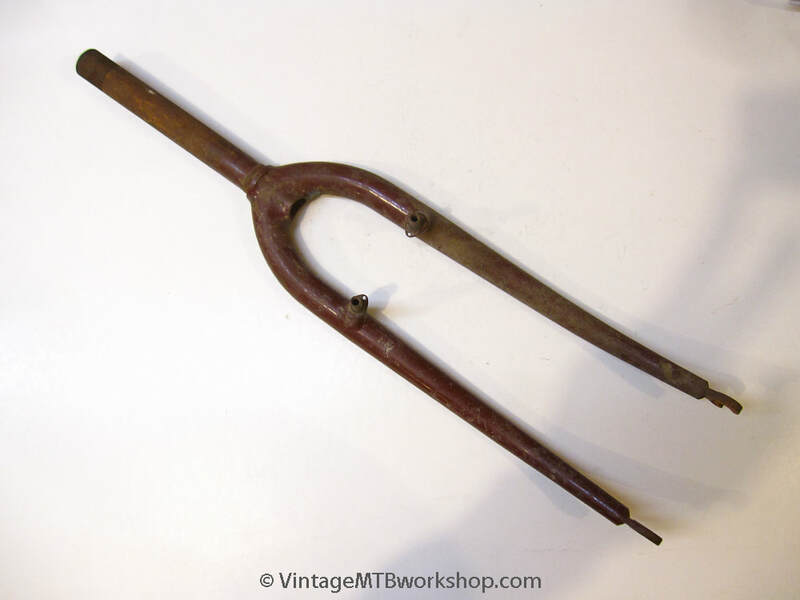 Charlie convinced Ross that the unfinished fillets were fully functional and really didn't need to be filed down. 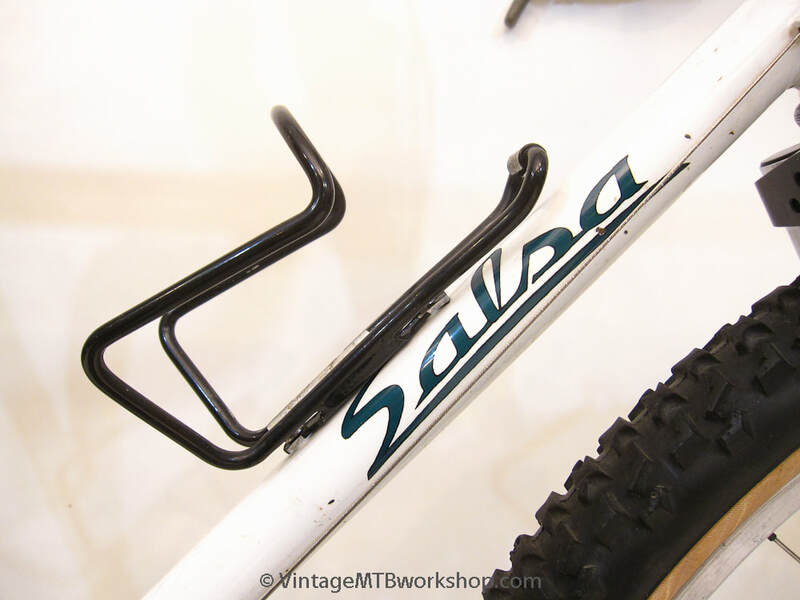 From that point forward, Ross only built one more brazed frame with filed fillets, by special request at an extra "con todo" up-charge of $300. 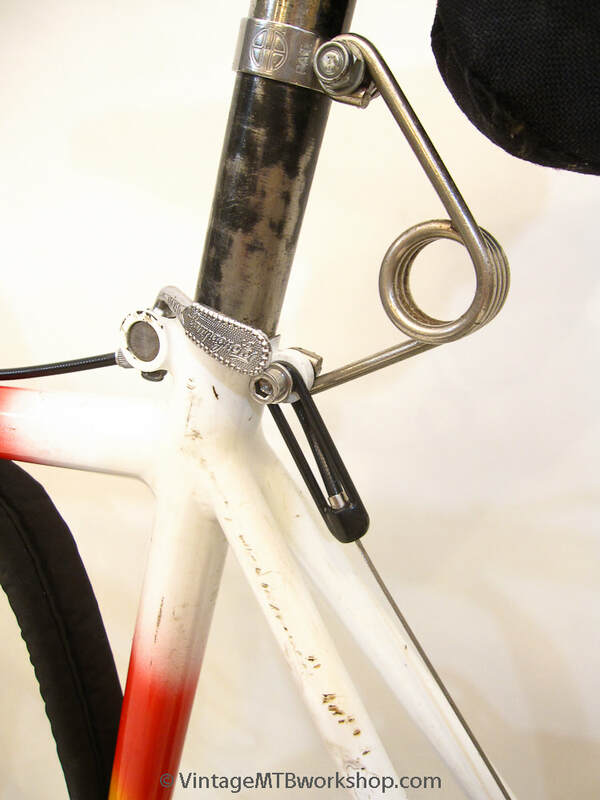 Ross upped his game and soon mastered the no-file fillet-brazing technique, to the degree that it can be difficult to tell that a joint hasn't been filed. 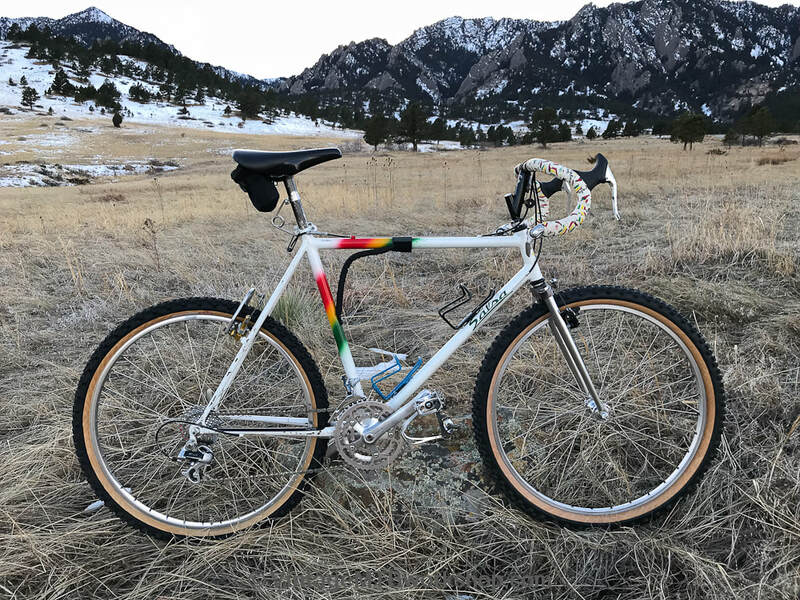 This bike was beloved by Ross and ridden hard for a least ten years, seeing various changes in configuration and components. 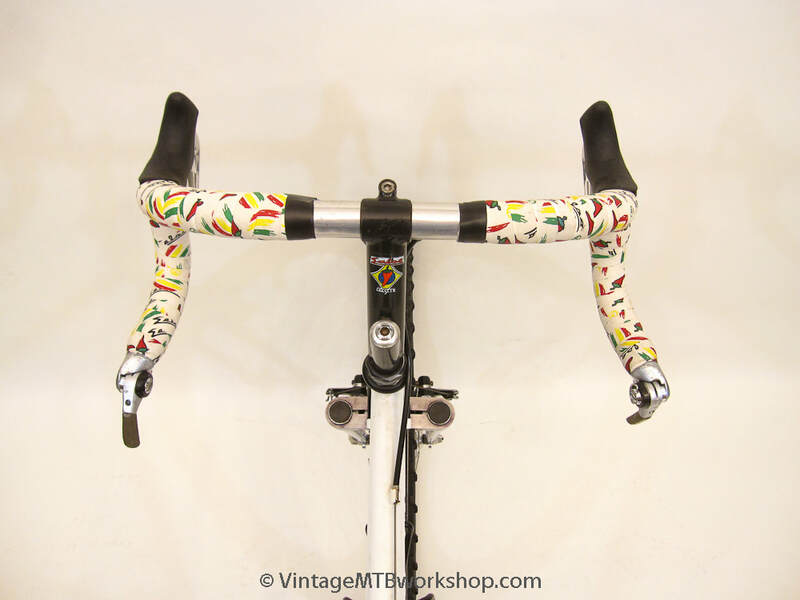 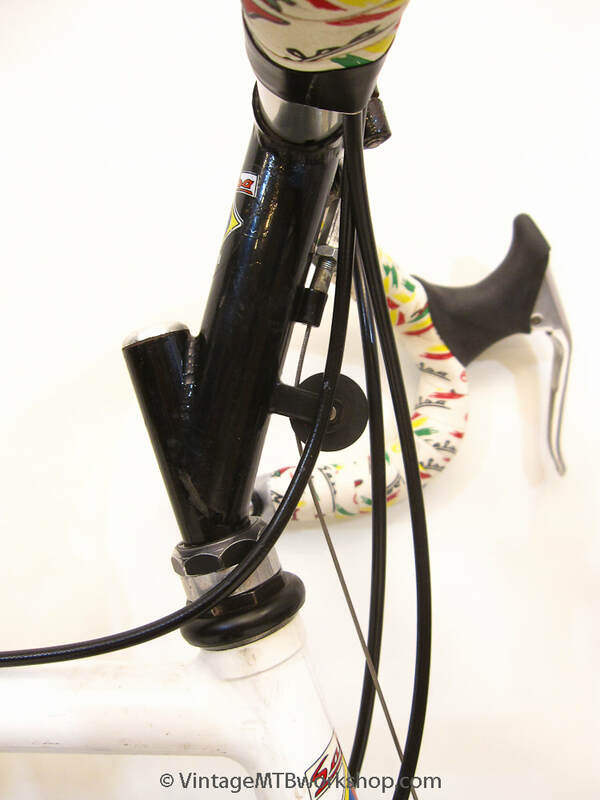 At one point it sported a curved "LD stem" for drop bars, later to be replaced with the current "P7". 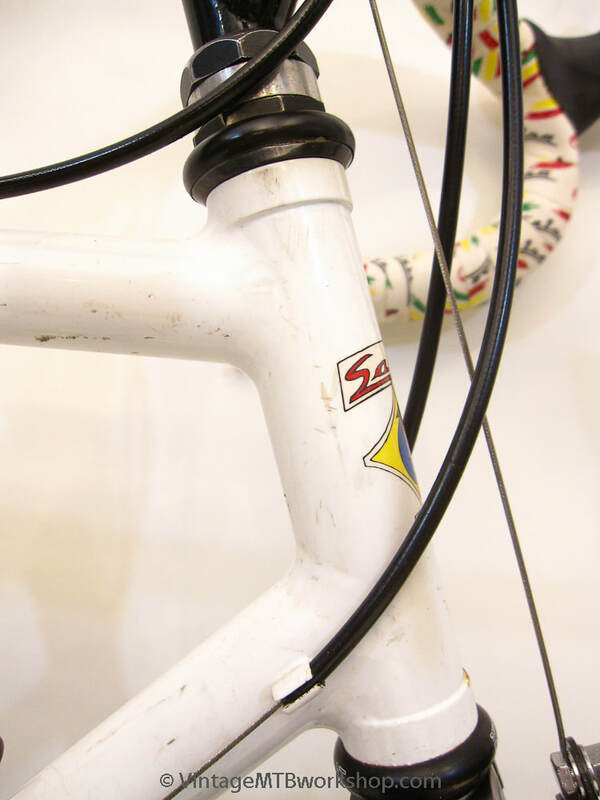 The original uni-crown fork, which still exists, was replaced with a Bontrager Race. 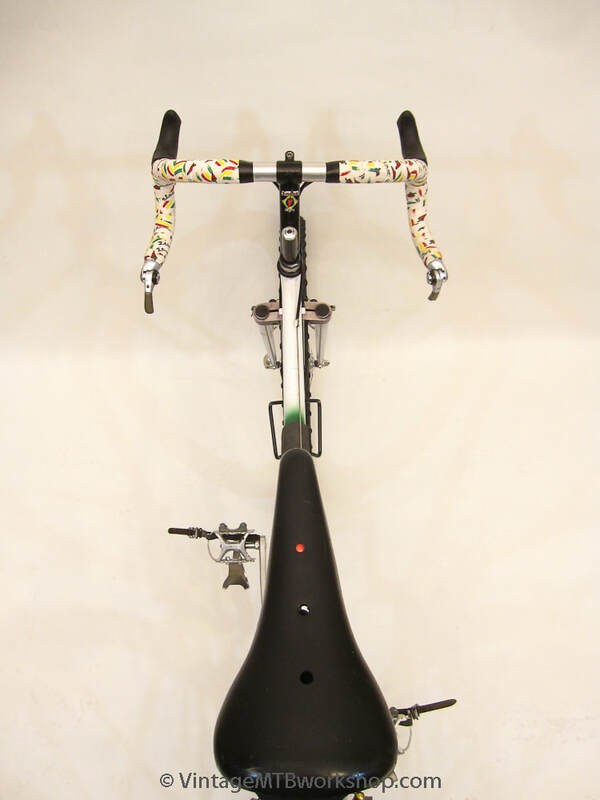 The components are an eclectic mix of Shimano, Suntour, and Specialized. 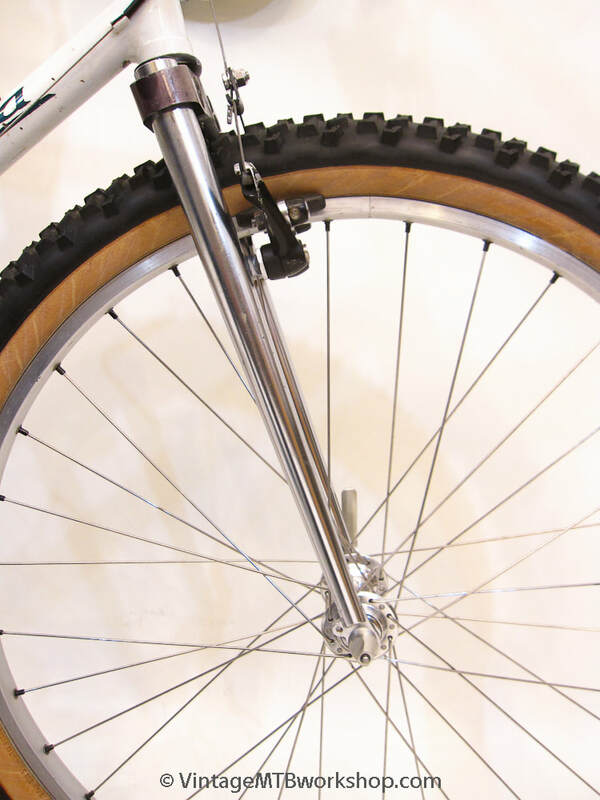 Rims are narrow, Bontrager cut downs to give a rounded profile and open thread to the tires. 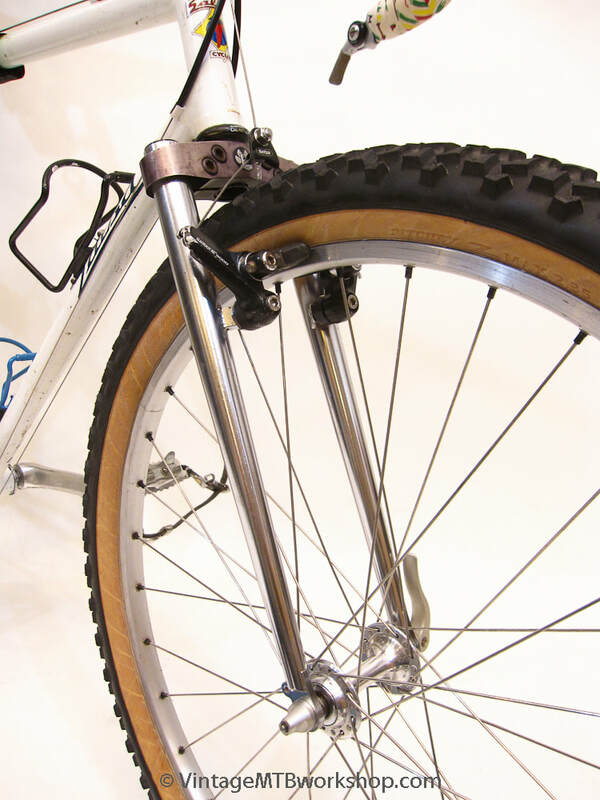 The bike was designed around the small version of the IRC X-1 Racer in a 1.7 inch size, while the preferred front tire would later become the large volume "Ricky" Z-Max 2.35 inch. 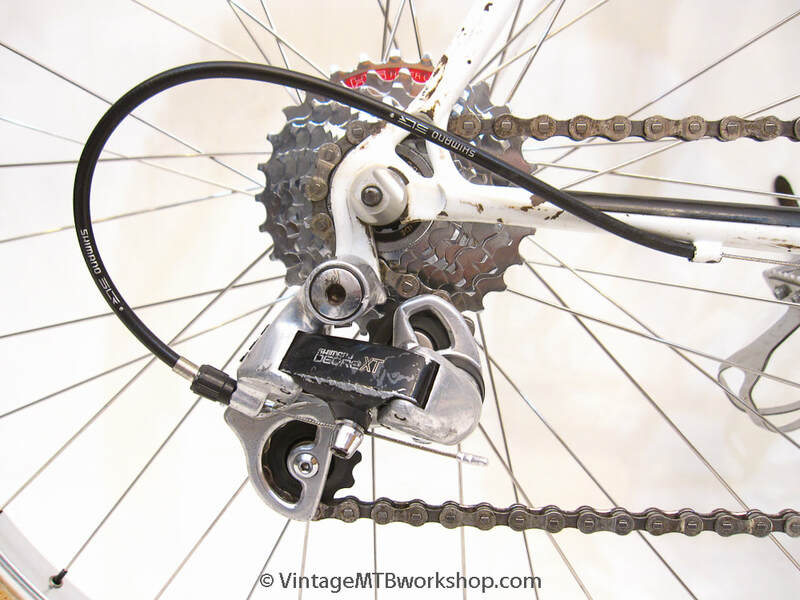 Prototype brakes from Paul were tested on the rear of the bike and XTR M900 chainrings found their way onto the crankset. 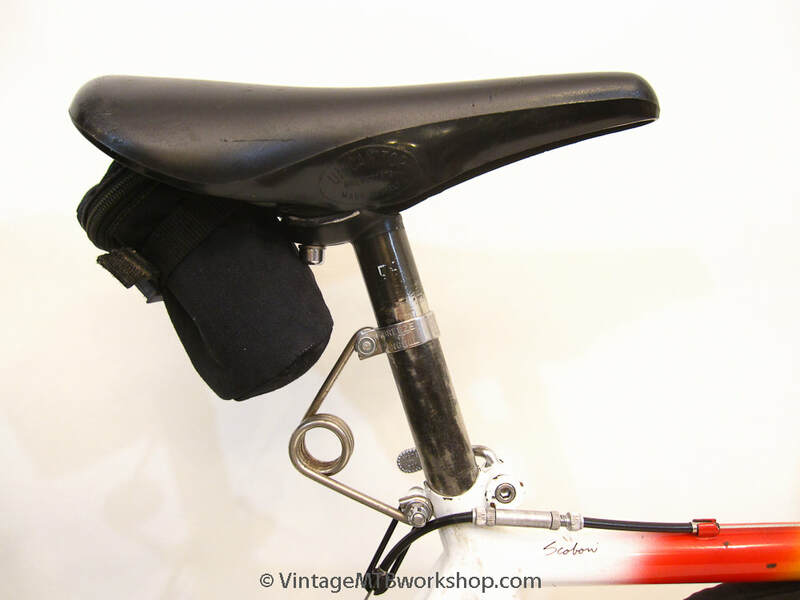 Ross' preferred saddle, the bare plastic Cinelli Unicanitor, was used along with a Breeze-Angel Hite-Rite. 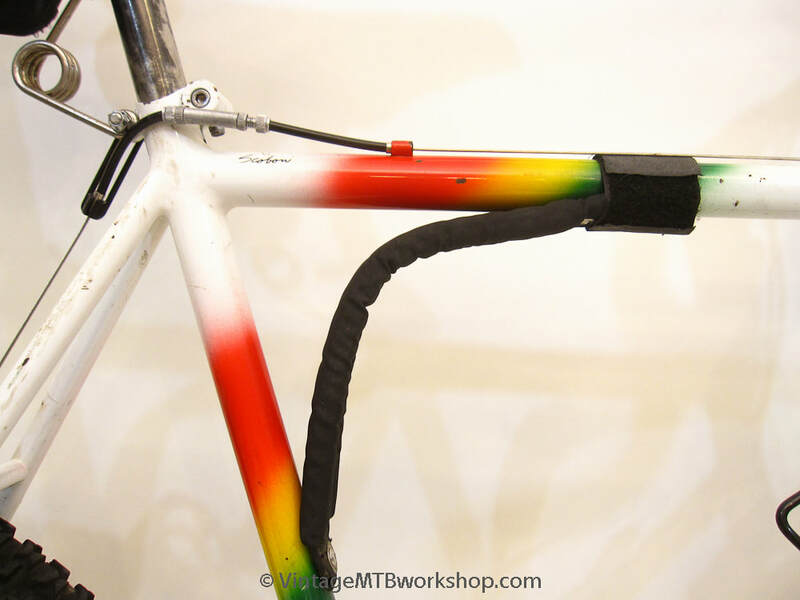 The bike started out painted with a red oxide epoxy primer with a blue pearlescent clear coat but was later matched to the Salsa Rasta team colors from the late 80s.